Summary: Pius XII is still today the most controversial pope of the twentieth century. At the heart of the debate comes a nagging question about the attitude of the Vatican during the Second World War. By remaining silent, is Pius XII partly responsible for the genocide of the Jewish people? If he had loudly denounced the extermination of European Jews, would lives have been saved? But how to grasp the history of a controversy that has been alive and kicking since the early 1960’s ? 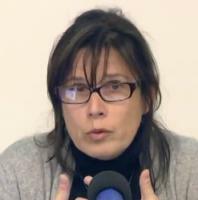 Muriel Guittat-Naudin (Université de Montpellier III), “Les silences de Pie XII, Histoire d’une controverse (en),” Institute of Religious Pluralism and Atheism - Resources center, accessed April 25, 2019, http://ipra.eu/centre-ressources/en/items/show/16.